← LOOKING FOR WAYS TO BOOST DIRECT BOOKINGS AT YOUR HOTEL? 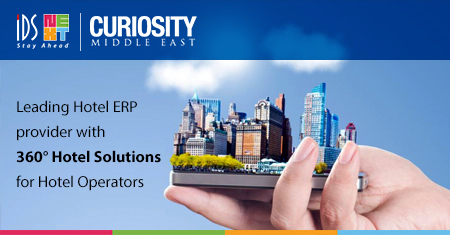 IDS Next CEO Mr. Binu Mathews’ elaborate Q&A featured in Curiosity Middle East magazine. Read on to know more about IDS Next’s wide range of hospitality technology solutions for hotels across Middle East. Tell us briefly about IDS Next? This entry was posted in Guest Experience Enhancement Solution, Hospitality, Hospitality Technology, Hotel ERP, Hotel Industry and tagged 360 degree hotel solutions, Central Reservation System, check-in app, direct-booking, e-menu app, guest experience management platform, Hotel ERP, hotel operators, mobile analytics app, mobile-first, SMS alert solution. Bookmark the permalink.